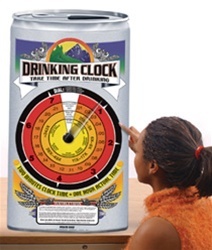 Reinforcing the message that people should take time after drinking to be safe, this informative display reveals the approximate amount of time the body takes to process alcohol. Ideal for driver's education, health classes, or community education. Comes with teaching suggestions. 17" x 32".